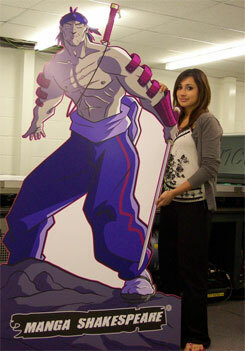 Need a standee? Turn any of YOUR photos into a fun life size cardboard cutout! You've probably seen cardboard standee cutouts of celebrities or athletes - now they're for everyone! You can now have a lifesize cardboard standee of yourself, a friend or family member! 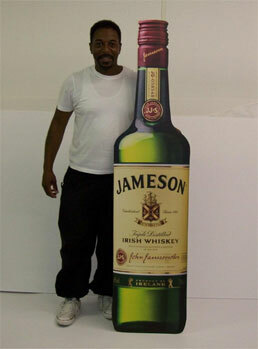 We make high quality life size standee cardboard cutouts right from your photos! Whether its a digital photo or 35mm photo print, we carefully remove the background, cut out the subject and give it a rear free standing easel for your cardboard cutout stands up all on its own! Order a fun lifesize custom standee cardboard cutout of yourself, a friend, a family member, pets, animals, cars - anything you can think of! Do you have a loved one serving in the military overseas? Does your child miss them? Now you can keep your family connected. When a loved one goes away, people usually put pictures of them to help remember their hero. Now there is a new more personal way to practice that same tradition. Comfort them with Life-size Cardboard Cutouts. The standee’s are so realistic it’s like you are standing right there next them. Normal pictures are good but a life size cardboard cutout is like a three dimensional picture. It can help your loved one being away a little more bearable. 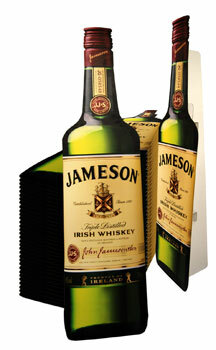 Pyramid Visuals lifesize standees are UV digitally printed directly onto 2000micron display board or EB flute corrugated card board. A strut is then glued on the rear so your standee will become free standing.